Seattle is a great city for foodies, even if those foodies are super-powered fugitives from corrupt justice. 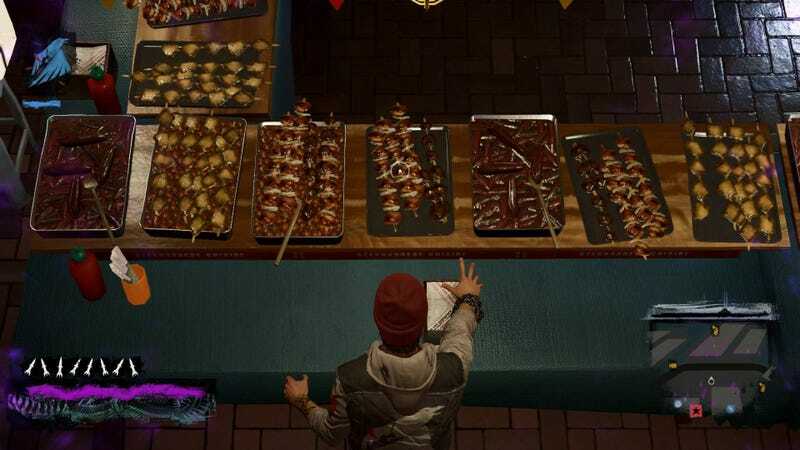 The fake food-obsessed Paul Yan of Enjoy the Bits captured scenes of Infamous: Second Son at its tastiest. Not only has Paul wandered the streets of digital Seattle snapping picture of food, he's also cataloged the game's restaurants, taken shots of folks carrying drinks, and committed the cardinal sin of video game edibles — don't shoot the food. Check out some of Paul's best shots below, and then hit up his website for the most exhaustive culinary tour of a computer generated town ever committed to the internet.